Hello. AGS has been a necessity for most players for a long time. 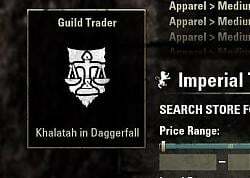 The recent changes to the guild vendors with Wrathstone has changed things up a bit. I will be honest, the ZOS added text search is infinitely faster than the page-by-page search that we had to use before. I tried AGS again recently and it was doing the page-by-page search again so I needed to remove it. Is it possible to combine the two? I mean, let the text search engine do its thing but still auto split stacks, remember prices, make it easier to switch between guilds, etc? Also, maybe adding hotkeys to allow selecting the Recent Searches or even having a "Hotlist Search" and AGS will work through until it finds something? I'm a few days behind here so maybe some of these have already been implemented. Thank you you very much for your work! 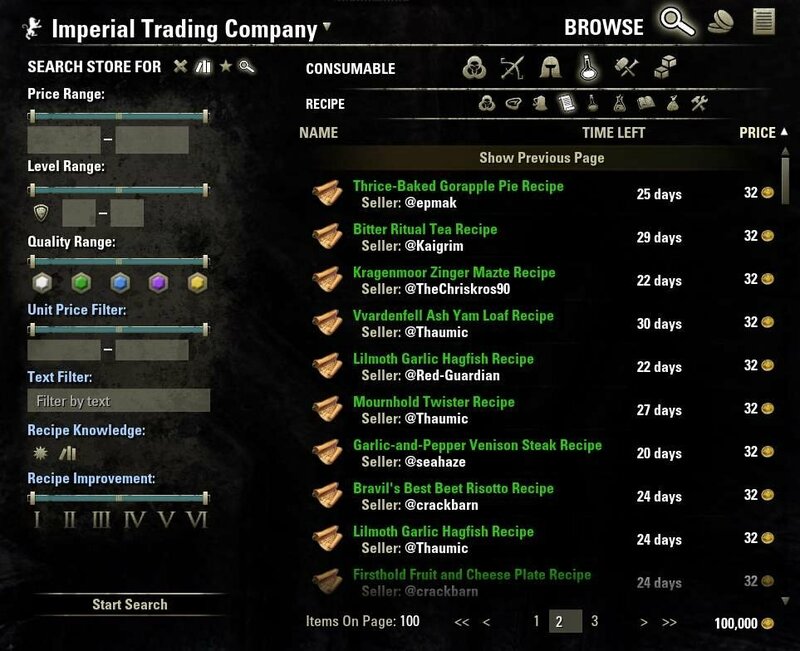 Just want to report the entries created by "search for item" are not renaming accordingly when changing parameters (as any other entry), it will show the same name and only in the tooltip (partially) can been seen what that entry is now. Just to clarify a bit, because when I happen to re-read my English I have wtf moment since some sentences seem unclear. as any other entry* meaning: all other entries work fine and get renamed, the change is displayed in both field and tooltips. the entries with issue are the ones generated by "Search for Item", when you commonly go to re-use that entry, typing another word in the text filter or changing category/other filter as usual. Hope it's more clear. The history for prices is awesome. 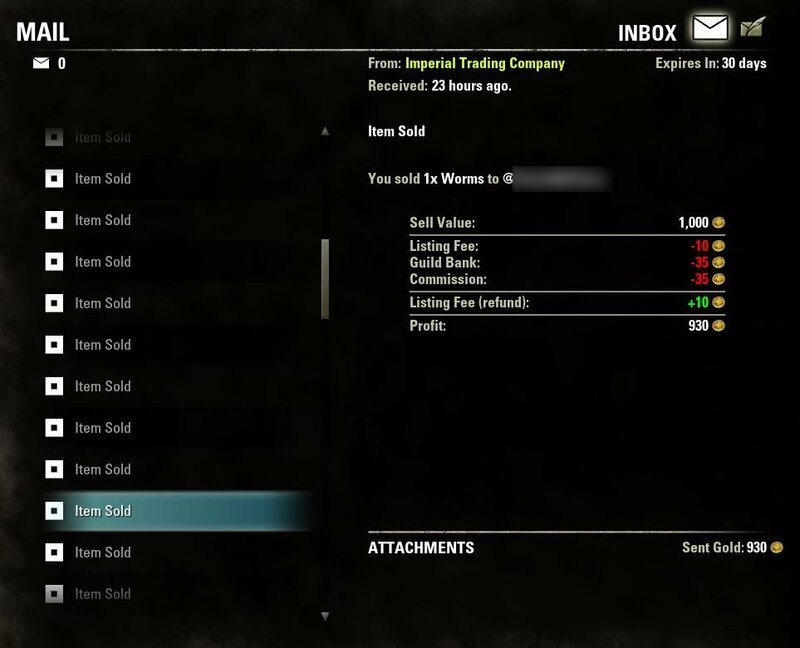 For most items the prices stay more or less stable, so listing them in the stores of my 3 trading guild stores becomes very fast. 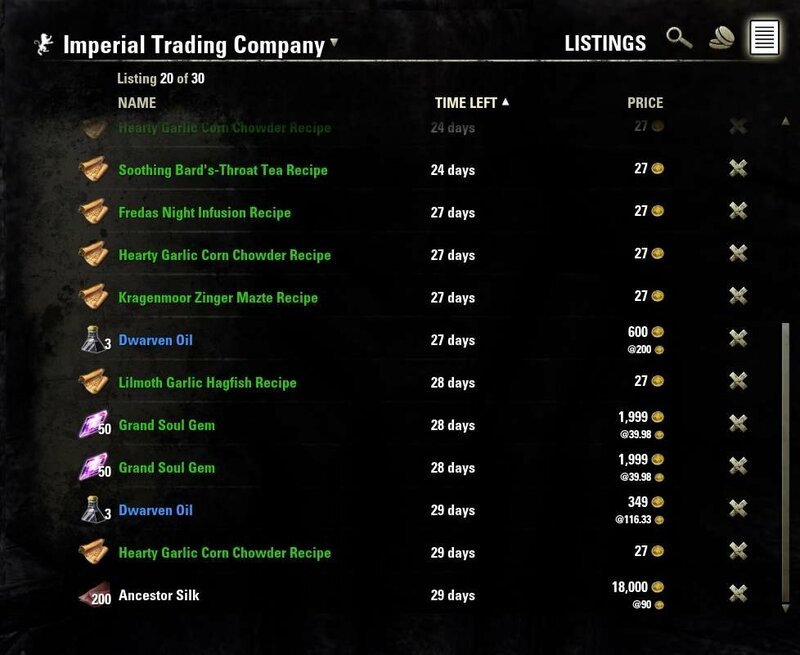 Also the history for the amount of items makes sense, since I mostely sell the same small amount of rare items but the same huge amount of e.g. regular materials. However, I'm in a small "friends only" guild, too. We are big enough to have a store but not rich enough to keep a trader nor trading is a suggested activity for us. 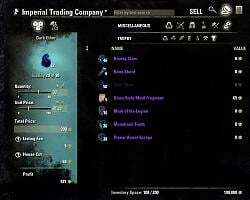 To help noob players leveling we sell low level items or small amounts of rare materials for a very special price, e.g. 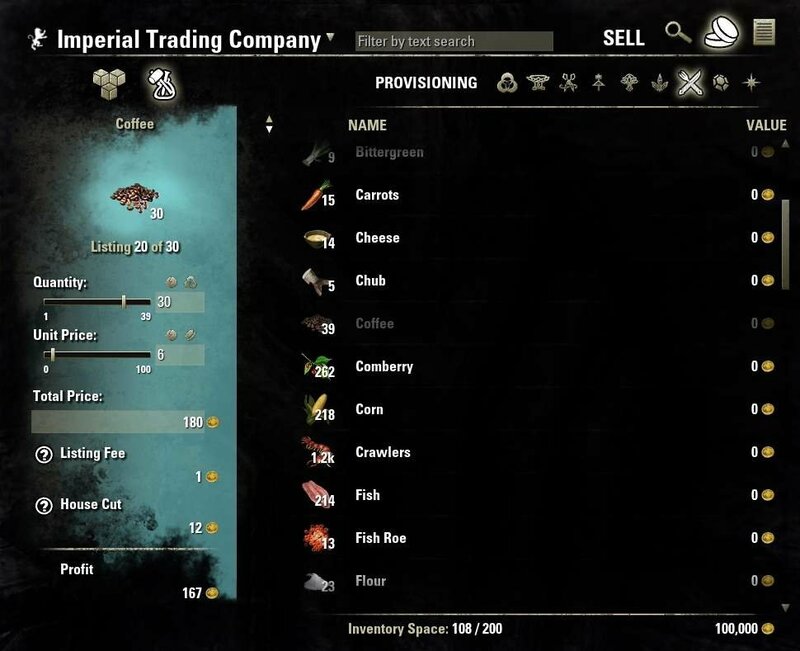 50 iron to 2g each or 3 Corn Flower to 150 each. 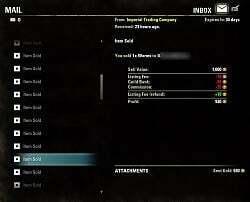 In addition we can sell other, e.g. 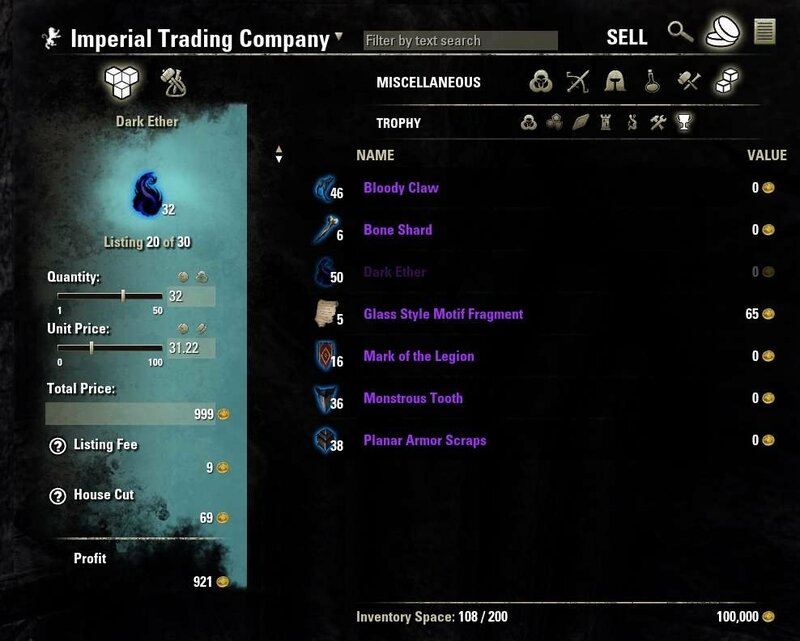 legendary item to my friends for a little lower price without dropping the market price. But doing that destroys the useful history functionality. 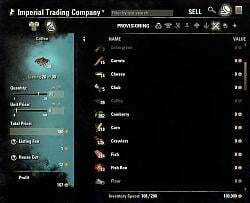 I have to double check every price for every item I list. 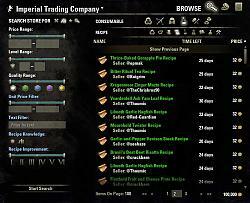 An option to create an own history for selected guild stores would prevent that. Not only for my special case. The prices on the market often depend on the location of the trader, too. 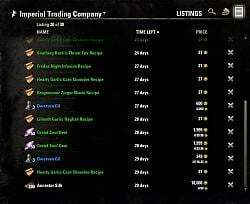 In Vivec with the traders some meters next to the crafting and provisioning area are much higher for materials and ingredients than at a small single trader far in the woods. To prevent data accumulation and speed issues such a feature should be an optional setting per store. the addon seems very different now or i have a huge conflit of addons here ...i was using it only to find motifs that i don't own yet, but somehow i'm no longer able to search only for items that i don't own. was that option removed or is it a problem at my end? With that fixed, LibDateTime had a similar dateformat issue. You're using %V to get the ISO 8601 week number, and that didn't seem to be implemented either. %U and %W are implemented. Looks like fixing this one is going to involve either removing CalculateIsoWeekAndYear and using non-ISO week number instead, or calculating ISO 8601 week number manually. I've run out of concentration tonight to do this. If you're not interested in fixing this one, I'll take a stab at it another day. Last edited by Techwolf : 04/02/19 at 01:32 AM. You should add more settings options, so you can disable a part of the addon. I don't like the auto search when you enter the guild store. 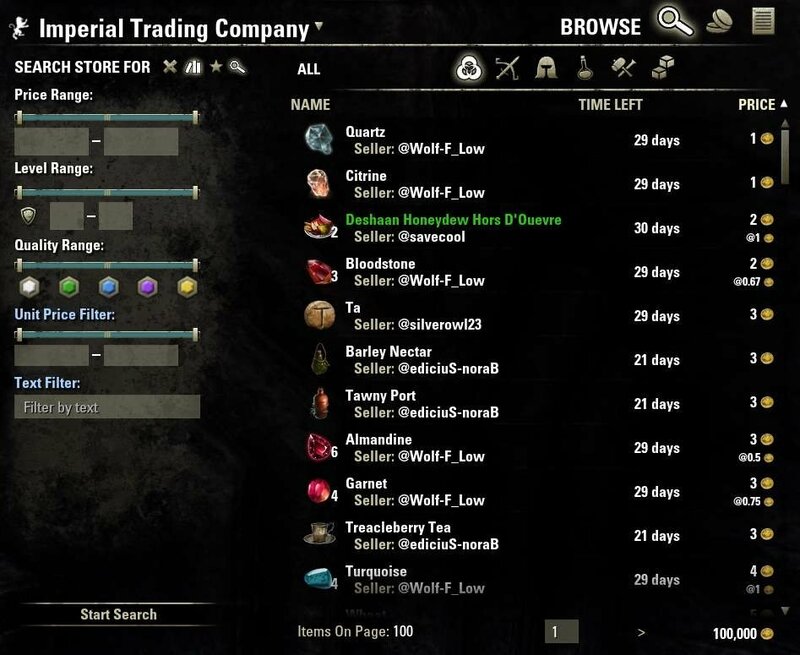 You should be able to disable auto search on entering guild store. 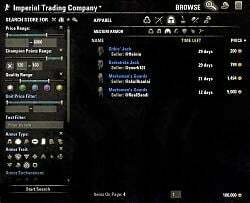 You should be able to search without the filters, like without the addon. 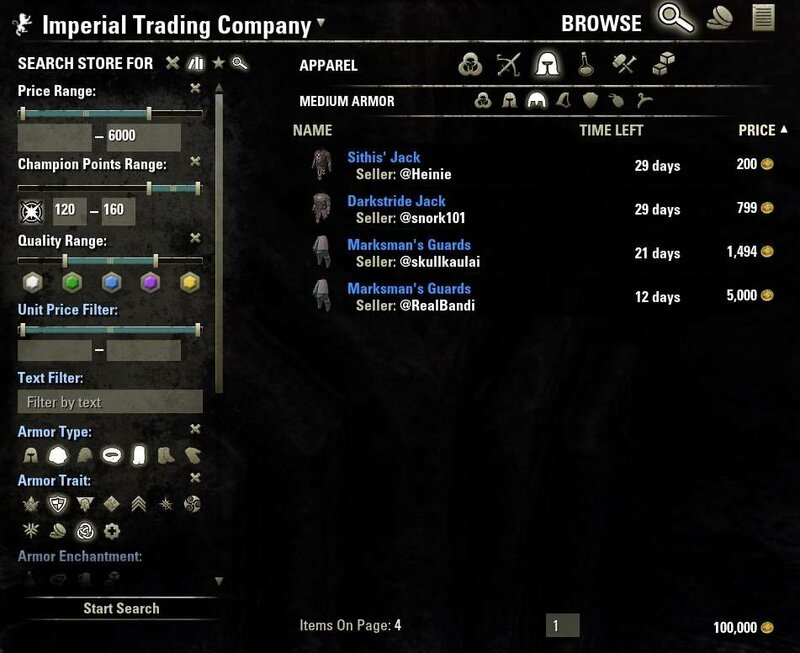 Without the addon you can set item name in search and get instant the items without any filters, but with the addon you search the entire guild store if you have no filters. Last edited by Mladen90 : 04/01/19 at 07:45 AM. I add pic for clarity (and I didn't touch anything except the little edit for column). You see the reserach "Cage, Covered" is now "Style Material" but only the tooltip is showing the change and the main voice remained "Diagram: Cage Covered" in tooltip too, even if the category is showing the change "Material>Style Material". Hope it's a bit clear. On a side note: in "known issues" it's suggested to use "search for item" to get a preview because cashed items can't be previewed, though it's not working properly for me, I got preview only for certain items. A working preview is something it's truly missed but the "Search for Item" step could have done, though for me it's not working in many cases. Thanks if you want to take a look.